An age-old estate planning technique is enjoying a revival of sorts due to recent tax law developments. 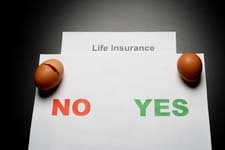 If you don’t already have an irrevocable life insurance trust (ILIT) in place, you might consider creating one, or you might add a policy to an existing trust. Despite some cracks in the foundation, this remains one of the top tax shelters available to upper-income individuals. Choose a payment option for beneficiaries (that is, you determine whether payments will be made in a lump sum or installments). Be aware that these rules apply if you have the right to do any of these things regardless of whether you actually do them. If you have a policy with a large death benefit and the proceeds end up being part of your estate, this could have tax consequences for your heirs. Fortunately, it’s relatively easy to avoid problems. All you have to do is establish an ILIT and transfer ownership of the policy, including all of the legal rights discussed above, to the trust. You’ll also need to designate someone—a professional, family member, or friend—to serve as trustee. If you acquire additional life insurance protection, you can designate the ILIT as the owner of your new policies. An ILIT can be “funded” or “unfunded.” If it’s funded, not only do you transfer ownership of the life insurance policy to the trust, you also transfer other assets that may be used to pay the premiums. The additional property may be in the form of cash, securities, or some other asset. The major drawback of this approach is that the income the trust generates is generally taxable to you. Unfunded trusts are more typical. In this case, you don’t transfer assets to the trust to pay for the premiums, but rather you make annual gifts to the ILIT for this purpose. The ILIT technique provides some other benefits that may appeal to wealthy taxpayers. With the appropriate wording of trust documents, you can protect the money from spendthrift children or grandchildren (or spouses of your heirs). Furthermore, the proceeds may be used to cover estate tax liability without diluting other assets intended for the family. How much estate tax flexibility do you have under current law? Plenty. Thanks to the American Taxpayer Relief Act of 2012 (ATRA), an exemption of $5 million (indexed to $5.49 million in 2017) effectively shelters bequests to non-spousal beneficiaries like your children and grandchildren. In other words, if you remove life insurance proceeds from your estate through an ILIT, you can still leave another $5.45 million to your heirs free of estate tax. ATRA also establishes a top federal estate tax rate of 40%. For example, consider the implications if you have a policy with a $1 million death benefit. Without an ILIT, your family might have to forfeit $400,000 of the proceeds to Uncle Sam. Keep in mind that to qualify for this estate tax break, the life insurance trust must be “irrevocable”—you can’t change your mind once you pull the trigger on the deal. Also, if it’s a policy on your life, you can’t be the trustee. If you don’t observe those rules, the life insurance proceeds could end up back in your taxable estate. Finally, when you set up an ILIT, the proceeds don’t have to go through the probate process, and your heirs should have access to the cash in a relatively short time. But there’s one last wrinkle to consider: Under a little-known tax rule, the proceeds still will be subject to federal estate tax if you die within three years of transferring ownership to the trust. Because of this three-year rule, don’t delay if you think an ILIT is advantageous for your situation. Set up the trust now to start the clock running. Tax law crackdowns have eliminated some traditional tax shelters—and Congress has its eye on others—but the benefits of life insurance trusts remain intact. We can help you determine whether an ILIT would be helpful in your situation. This article was written by a professional financial journalist for Castellan Financial Advisors and is not intended as legal or investment advice.